Highbrows: SEM Image of house hold dust ! A (colourized) Scanning Electron Microscope image of house hold dust. 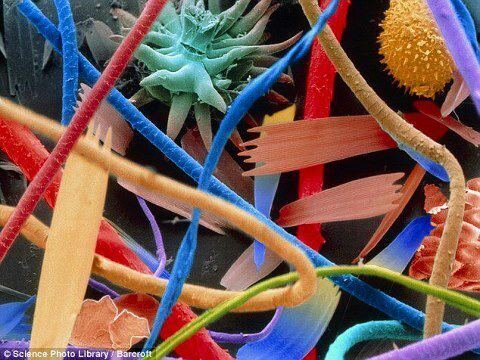 Amazing how different things are at microscopic level.